Meridian Family Townhomes at Westhills! 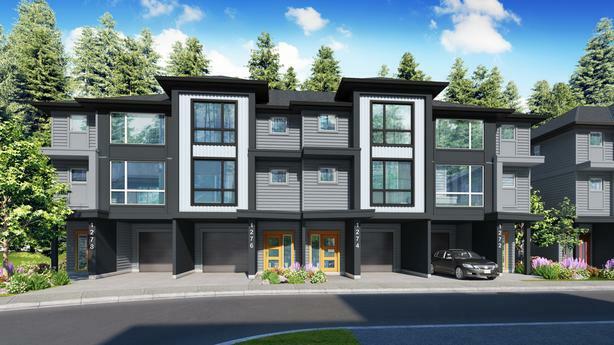 This Spacious 4 bedroom/2.5 bathroom townhome offers over 2300sq ft of living space. Walk upstairs to the kitchen of your dreams featuring quartz countertops, waterfall quartz island, under cabinet lighting, & stainless steel appliances. The kitchen/living room/ dining room have an open concept, great for entertaining. Living room features a gas fireplace with stone accents & large deck. Also on this level you will find a bedroom which would be a great office and a powder room for your guests convenience. Upstairs in the master bedroom you will see a beautiful view of the mountains through the over-sized windows. You will find 2 additional bedrooms and two full bathrooms. The entry level of the home also includes a rec room as an added bonus, with access to the rear yard providing lots of room for the kids to play! There is a one car garage, with a covered enclave for a second car. Located just steps from local trails, the YMCA, Schools, Shopping, Parks and all forms of Recreation. Come visit our show home at 1274 Solstice Crescent or call 250-474-5899 for more information.